It is long recognized that parks, recreation, and the outdoors are vital elements of a healthy community. proValens Learning took shape out of the desire to combine training for Parks, Recreation, and the Outdoors, the “pro”, with a health perspective, Valens, which is Latin for health, vigor, and strength. 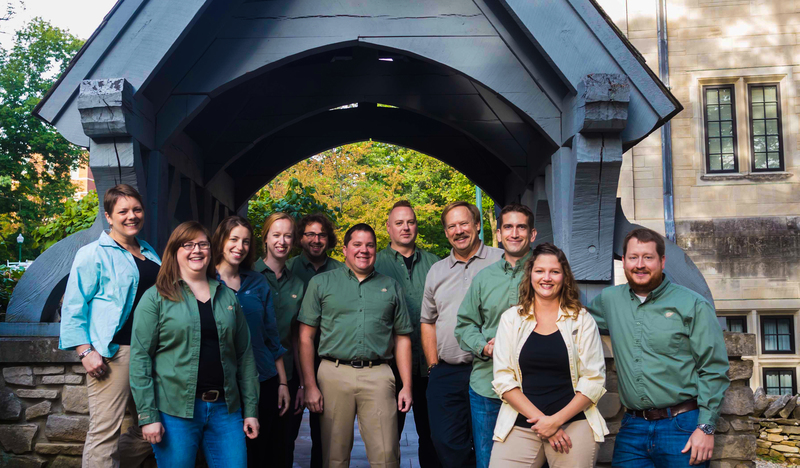 proValens Learning brings together organizations representing parks, recreation, protected areas, and public lands, as well as the public health and recreation professions. By providing managers and staff with high-quality, innovative, and easy to access learning experiences, our partners dedicate themselves to ensuring that the natural, cultural, and historic sites of the world are stewarded for future generations. Ultimately, our efforts enhance the experiences of the people who visit and use these places. Hosted by the award-winning Eppley Institute for Parks and Public Lands at Indiana University, the proValens Learning website is a product of partnerships with federal, state, local, and non-profit organizations. Together, we blend current science and policy, field experiences, and instructional design expertise to provide state-of-the-art education and training. proValens Learning facilitates research-based education and training for use in parks, protected areas, public lands, recreation, and public health. We develop online learning opportunities for continuing and professional education. The proValens Learning group utilizes technical and academic experts in a unique course development process that informs professional development and promotes leadership. The result is a suite of online learning opportunities for staff at government agencies and non-profit organizations, as well as students and life-long learners. Collaborators at proValens Learning develop quality online learning through partnerships that cross disciplinary and geographic boundaries. proValens Learning is the culmination of over 15 years of online course development. It began as the Eppley Training Site, established in 2000 by the Eppley Institute for Parks and Public Lands at Indiana University. Throughout its history, the Institute and its partners have cultivated unique approaches to training and education. Through constant technological innovation, we have developed a unique and highly effective learning management system. As our organization matured, it became apparent that there was a need to better represent the collaborative nature of our online learning approach and recognize the contributions of our partners. Eppley’s proprietary approaches to learning analysis, instructional design, and content development, combined with the disciplinary strengths of our partners, have resulted in accessible, effective, and rigorous education programs. These courses, online or onsite, stand-alone or certificate-based, engage over 13,000 learners annually. Looking to our future, we invite interested organizations to join us as we expand our collaborative efforts, merging experience and innovation in parks, recreation, public lands, and health. Together we will continue to lead the field of continuing and professional education as proValens Learning.